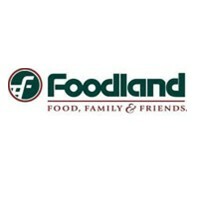 Foodland is an American supermarket chain in Hawaii. They maintain business under the concept of giving quality service in local communities. They sell locally grown produce and meat. The chain was founded in 1948 by Maurice J. “Sully” Sullivan. From Ireland, he came to Hawaii and opened the supermarket. They’re Hawaii’s largest and oldest locally owned supermarket chain. The supermarket chain has more than 30 stores throughout Hawaii. They’re under the names “Foodland”, “Sack ‘N Save” and “Foodland Farms”. They have a workforce of more than 2,500 employees and it’s continuing to grow. Employees have a lot of benefits. Some of these include medical plans, group life insurances, and 401K retirement plans. They also have paid vacations, sick leaves, and holidays. Besides the great benefits, employees enjoy an open and fun work atmosphere. Some employees get raises without them even realizing it. It’s a good company for first-timers. First-time workers learn a lot especially, about customer service. The minimum age requirement for entry-level jobs is 18 years old. They also have vacancies for 16-year-old applicants. But, higher managerial positions may have a different age requirement. The company has many job openings in different branches. There are several entry-level jobs available for high school graduates. Applicants can choose between part-time and full-time schedules. Service Deli Clerk: Service Deli Clerks are in charge of the department’s deli products. Their services include slicing, wrapping, preparing, pricing, weighing, and merchandising. They give customers information about the deli products and services. They also hand out food samples and recommend items to help increase sales. They’re trained to use certain equipment like fryers and slicers. Produce Clerk: Produce Clerks stock and rotate merchandise properly in the produce department. They’re also responsible for maintaining the floral department. Their tasks include watering, trimming, and merchandising products. They also answer customers’ questions about produce and floral products. They give food samples and recommend items to customers to help increase sales. Courtesy Clerk: Courtesy Clerks help in the checkout service of customers. They unload grocery items onto check stands and provide carry out services, and bag purchased items. They also check prices, return products to the proper shelves, and maintain cleanliness of store shelves. Other tasks include general housekeeping duties. Store Office Clerk: Office Clerks are in-charge of the customer service counters. Some services they provide are answering phone calls and selling convenience items. They balance cash drawers, completer paperwork, and prepare store deposits. They’re trained to work with computers, cash register systems, and store intercoms. Apprentice Meat Cutter: Meat Cutters stock meat cases with high-quality meat and poultry products. Their tasks include cutting, grinding, wrapping, weighing, pricing, and merchandising. They order and stock prepackaged frozen meat and deli meat products. They’re trained to work with equipment like slicers, grinders, meat saws, and knives. Apprentice Fish Cutter: Fish Cutters make sure that seafood cases are stocked with fresh seafood products. They’re responsible for receiving, stocking, cutting, preparing, and wrapping among other tasks. They also assist customers with requests and answer questions about the products. They offer samples and recommend items to help increase sales. They use equipment such as wrapping machines and knives. Cashier: Cashiers provide checkout services to customers. They must be fast and friendly, and should be trained to use computerized cash register systems. They should also have basic math skills. Other skills include the ability to memorize weekly ad specials and product codes. Bakery Clerk: Bakery Clerks bake, package, price, and merchandise baked goods. They’re trained to use equipment like ovens and proofers, and are also responsible for baked products such as cakes, pies, muffins, and bread. To help increase sales, they give out samples of bakery products. Grocery Clerk: Grocery Clerks ensure that the grocery section is well-stocked. They help receive, store, and stock products. They also build product displays, handle product damages, and properly display products. They’re trained to be familiar with the products to assist customers finding items. Gas Station Attendant: Gas Station Attendants collect cash payments from customers. They’re responsible for cashiering and making change. They also charge purchases to credit cards and provide customers with receipts. They collect, clean, and dispose trash. Other tasks include ordering stock, pricing, and shelving goods. Interested individuals should fill out an application form. The forms are available at any Foodland store location. They can also be downloaded and printed online. Printed application forms can be submitted to any Foodland store. They can also be faxed to (808) 737-6952 or mailed to Attn: Human Resources, 3536 Harding Ave., Honolulu, Hawaii 96816. They also have an online application option. Make sure to provide all the required information. After filling out the form, go through it again and check for any errors. Read the last part of the application form and understand it well before submitting the form. Resumes might not be required, but it’s better to be ready with one. Important information in the resume should match the submitted application form. Don’t add false information for the sake of having an impressive resume. The interview process may vary from different store locations. After filing the application, it usually takes a few days before the actual interview. Going to the store might end up with a chance to get hired more quickly. The store manager may start a quick interview after receiving the application form. Foodland has been a regular local shopping destination. They’re known for offering locally grown and made food. With their efforts, they help many local farmers and producers to stay in business. They’re also famous for being the only grocery store in Hawaii to sell Certified Angus Beef®. The chain is promoting equal opportunity employment. This results in a diverse workforce. The culture may vary from store to store. Some stores may be laid-back, and some are very formal like typical grocery stores. The company has teamed up with Hawaiian Airlines. Customers may register their Foodland Maika’i accounts to earn HawaiianMiles. After registering, they start earning points while shopping. The grocery chain’s founder, Sully Sullivan, was known to be an unselfish generous leader. The company continues his legacy by giving back to the community. Their four major community programs are “Shop for Higher Education”, “Bag Up Hunger”, “Give Aloha”, and “Share a Holiday Feast”. 1 How old do you have to be to work at Foodland?